This is the 1990 model, and it looks like it’s never been serviced before. Zenith make their own movements, which I can only applaud – too many big name watch manufacturers use third-party movements, and Zenith could have easily used an ETA chronograph movement. But they decided not to, and that may be the “Defy” bit! The movement beats at 36,000 bph / 10 bps, and there is a reason for that. When measuring time with a stopwatch, you want to be able to account for 1/10 of a second, and the only way to do that is to let the movement beat at such a high rate. 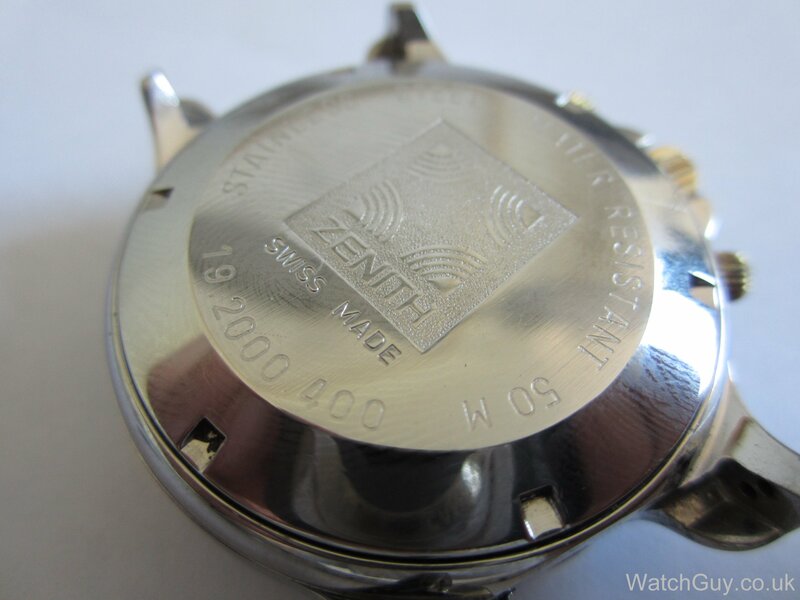 Nothing gained for accuracy of the watch, but a stopwatch that can measure 1/10s isn’t to be sniffed at. The movement is only sparsely decorated and fairly plain. 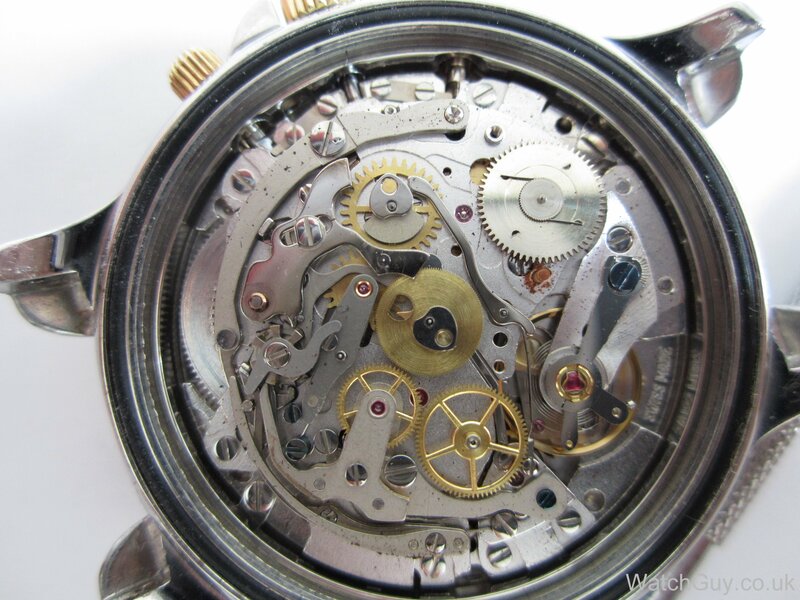 Form follows function, and I think that’s right for a chronograph. Apparently, Rolex used this movement in the Daytona, albeit in a modified version that only did 8 bps. The left sub-dial just has a normal second hand, the middle sub-dial counts the hours the stopwatch has run, and the right sub-dial counts the minutes the stopwatch has run. The case back is as chunky as the rest of the watch. If you want to open a watch without risk of scratching, here is a tip I got from Owen Gilchrist – use a small children’s bouncy ball! You just press it against the back and turn it. That easy. The hard part is defending the bouncy ball against abduction attempts by my 5 children…. Feast your eyes on this! 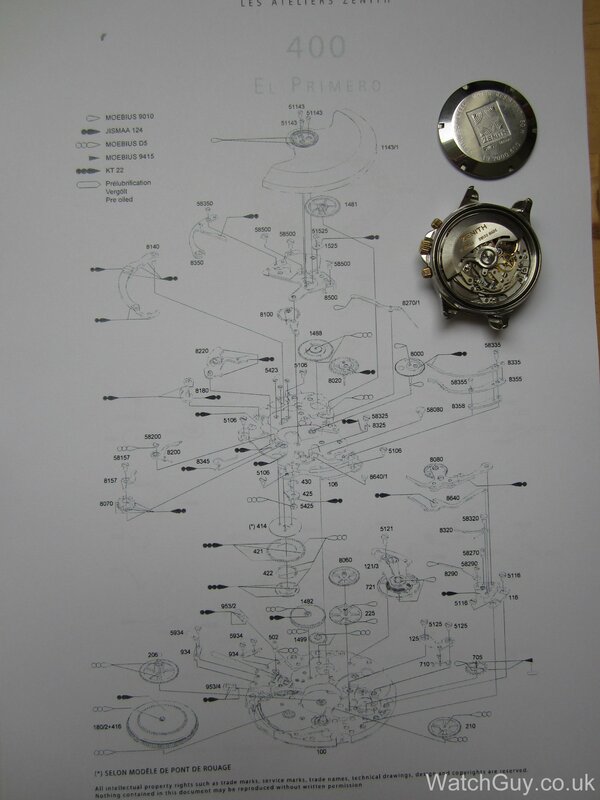 It’s only the top plate assembly as a technical drawing, and what I need here is the oiling chart. 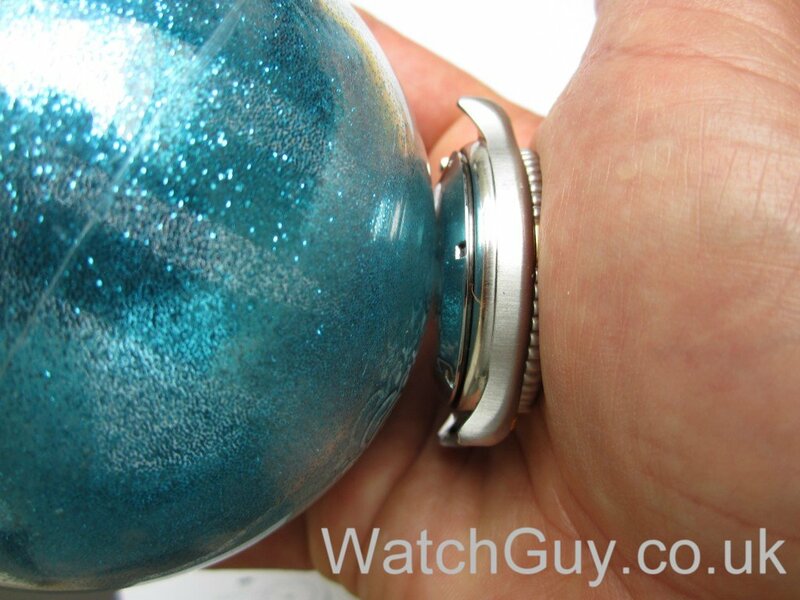 When putting together the watch, I will meticulously follow what the manufacturer prescribed. 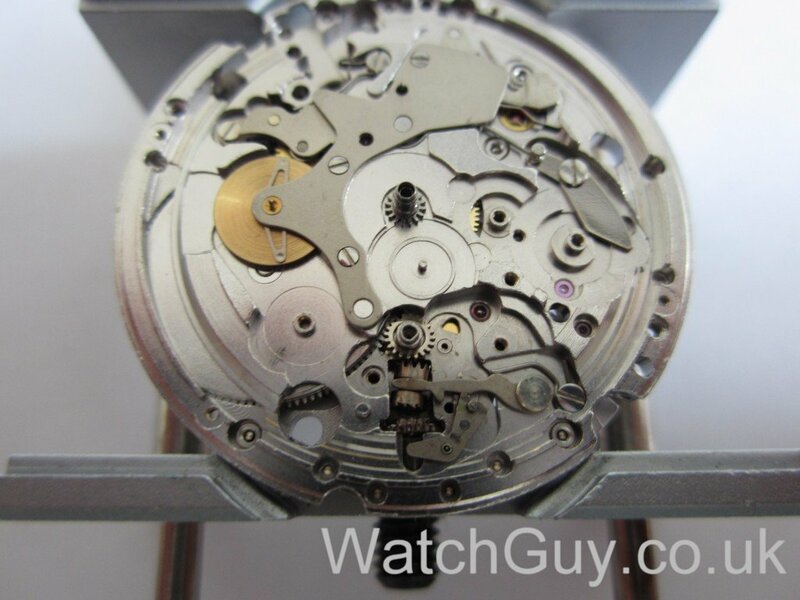 This is a highly complex chronograph movement, and you got to get it right. Not for the faint-hearted! Apparently, the Zenith calibre 400 has 280 components, of which 225 are different. If you click on the photo to enlarge it, you can see that there is quite a lot of dirt. You can see the dirt quite well in this photo. The timegrapher confirms this – the lines aren’t straight, and the watch is gaining. Hopefully, cleaning it will set this right. I work my way through the top plate without taking the movement out – not that it matters – I could have just as well taken the movement out first. Before taking the balance out, I remove the top jewel for cleaning. 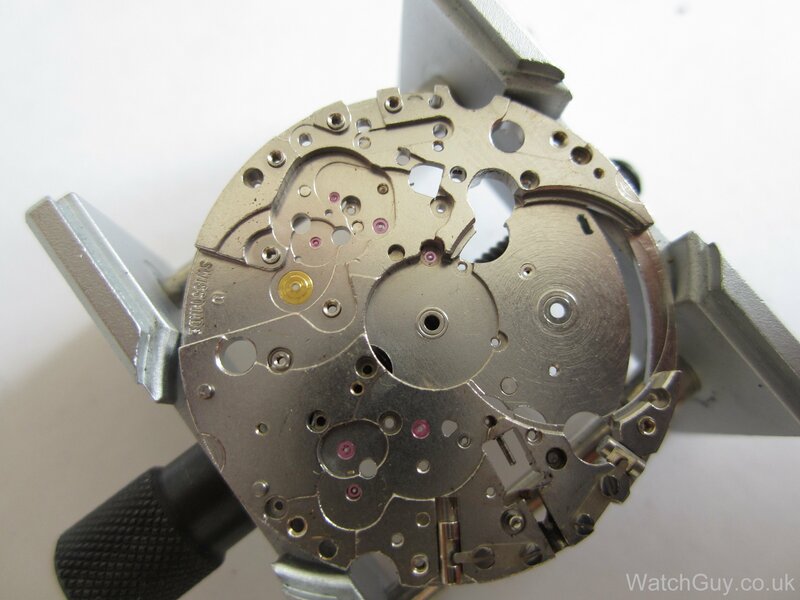 As I remove the components, I make sure to take a photo of each component with its screws – this will make putting the movement together a lot easier. Now I remove the movement from the case and take the hands and dial off. No expense spared when the movement was designed. Now I work my way slowly through the bottom plate which is decidedly less complicated than the top plate! 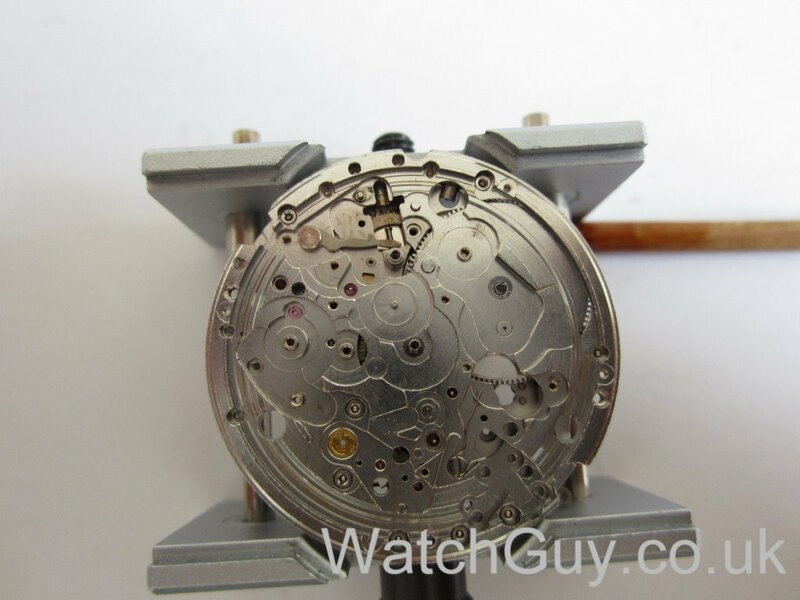 Here, we have a broken unlocking date spring. 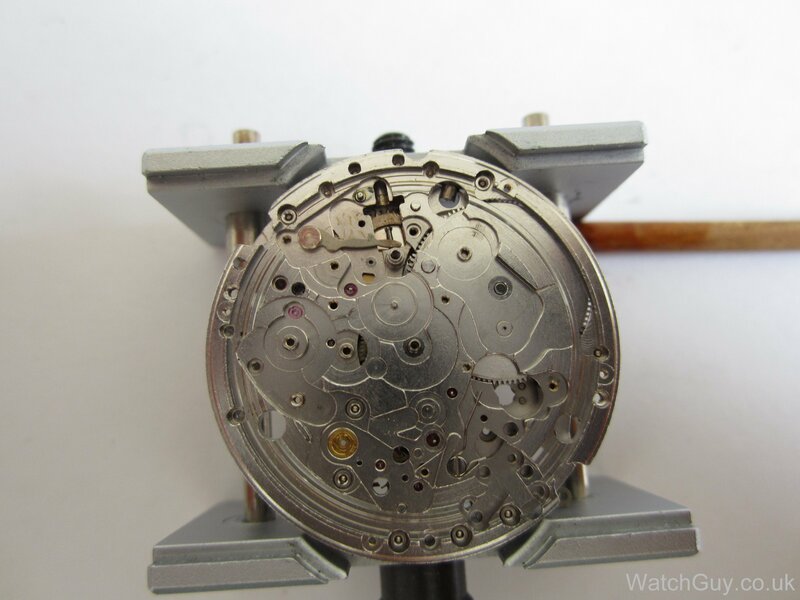 Look at the spring at 2 o’clock of the balance jewel – the long arm is broken in half. No problem, as parts for the calibre 400 are readily available. With the bottom plate done, I can turn my attention back to the top plate. The wheel bridge covers large parts of the movement, and the escapement wheel has its own little bridge at the top of the photo. With the wheel bridge removed, you can see the gear train. No lack of dirt and old lubricant. The barrel has “DO NOT OPEN” stamped on it – and for good reasons. The mainspring of this watch is a powerful little blighter, and if this thing is unleashed, it may well end up wrapped around the back of your eyeballs. You buy the mainspring complete with barrel for replacement. And the top plate done. 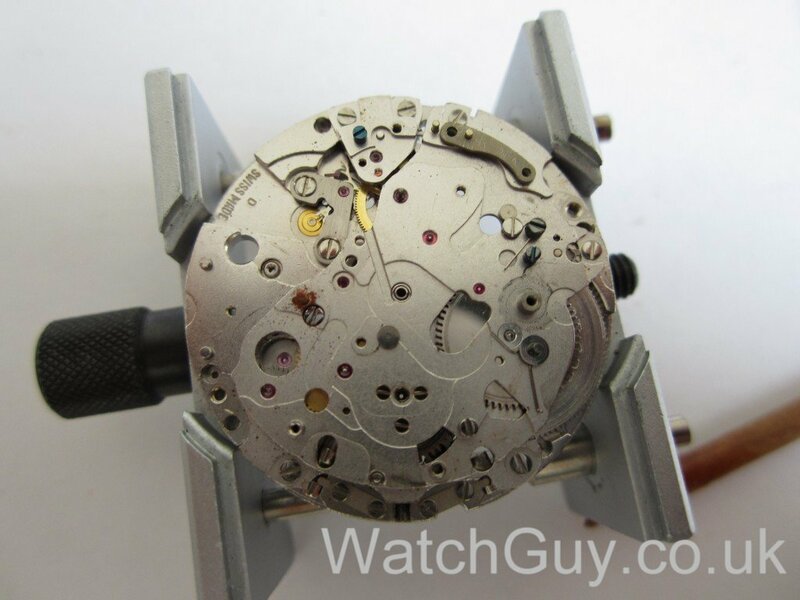 Without detailed photos taken when disassembling the movement, I wouldn’t stand much of a chance of putting this baby back together again. Well, with the technical drawing, it would be ok, but the photos help immensely – especially when matching the right screw to the right thread. Time to order parts, clean everything, and to take a deep breath! A quick update – the parts are cleaned, rinsed and dried, and now waiting in a clean, airtight container with a silica gel bag for reassembly. Cousins delivered the wrong unlocking date spring, and I’m now stuck in their returns process. I’ll give that another week, and, if it leads nowhere, I’ll make the spring myself. I have a puzzle. 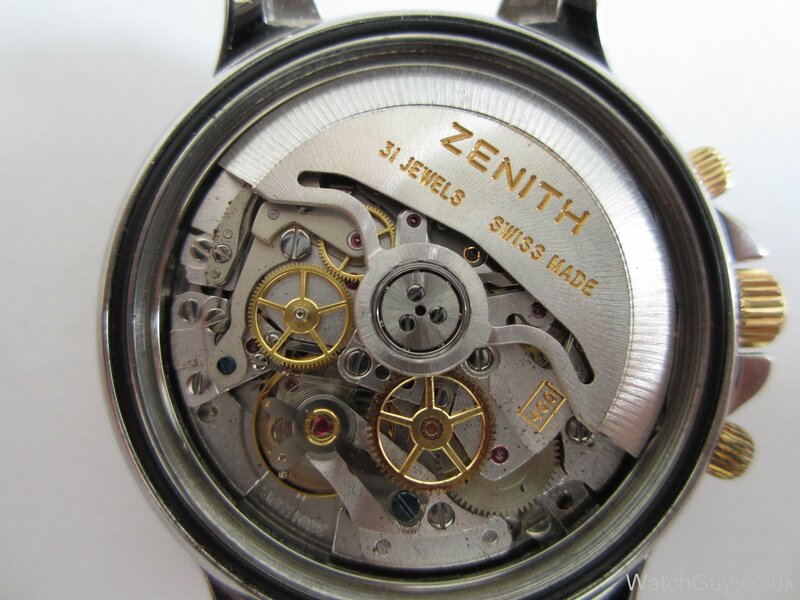 TAG Caliber 36 (Zenith 400)—belongs to a friend of mine. He has sent to TAG service center in NJ twice for service, with complaints of autowinding problems. Both times, no fix. 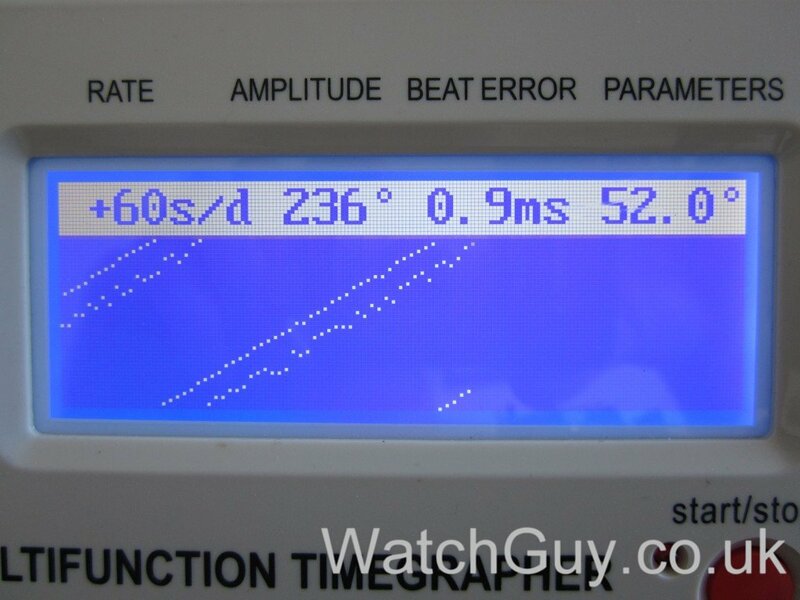 Watch continues to stop periodically with no apparent reason. 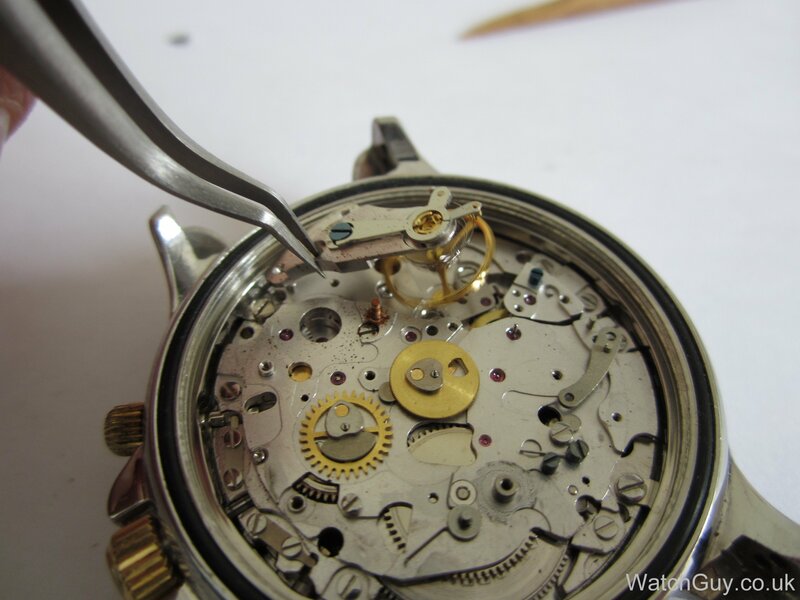 When he first handed off to me (hobbiest watchmaker) the chrono wouldn’t run and TAG had left a dial screw loose, and subsecond was touching the dial (INEXCUSABLE!). Autowind seems to be ok as winding through the crown provides no change, watch will run about 16 hours and stop, sometimes more, somtimes less. Sometimes I can give it a little twist and it will continue to run and when I can keep it running sometimes it will run its full 52 hours or so of reserve. 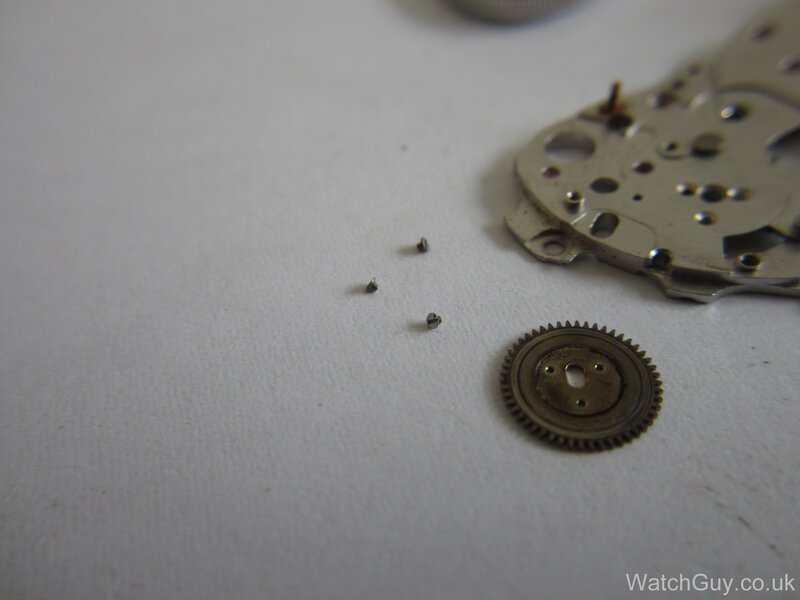 Could it be a sticking mainspring? Watch keeps perfect time when it runs (+/-2 secs a day). Movement looks clean and well lubed as it was just serviced recently, so any suggestions for diagnosing is appreciated as I would love to get it sorted without a complete teardown. Thanks so much and thanks for the fantastic blog! I don’t think it’s the mainspring. Something is blocking the movement / gear train. Try without dial and hands, and take it from there. Will do. Thanks for the quick reply! Thanks again Christian for the help. I followed your advice but it continued to stop on me. I just couldn’t figure it out since it appeared to be relatively clean even under magnification (nothing like the battlefields I’ve seen you post LOL). But, I figured I had no alternative but to began the disassembly process. Anyway, after cleaning only the escape wheel and pallet fork and their bridges it is running beautifully! Apparently the lubrication had just gummed it up. So since it’s already broken down, my question is now what oils/grease to use when putting it back together? (After a full cleaning of course) Do I follow the Manufacture sheet (which I presume maybe old and outdated): 9010, Jismaa 124 blue, D5, 9415, KT22, or is it ok to use molykote dx or 9501 in place of the Jismaa or others? Also, what do you use on the mainsprings since I don’t want to replace it as per your recommendation. One more thing, do you have any lube info on the bottom plate as I only have the top plate like you’ve shown. Thanks so much for sharing your expertise with the world! I do make substitutions where more modern lubricants are available (HP1300 instead of D5, etc.). 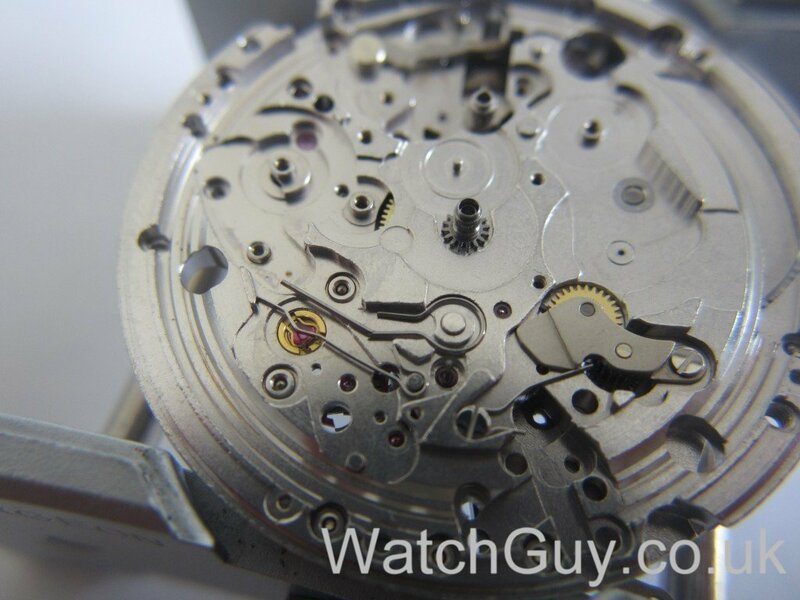 Have a look at http://watchguy.co.uk/technical/ for technical documentation. 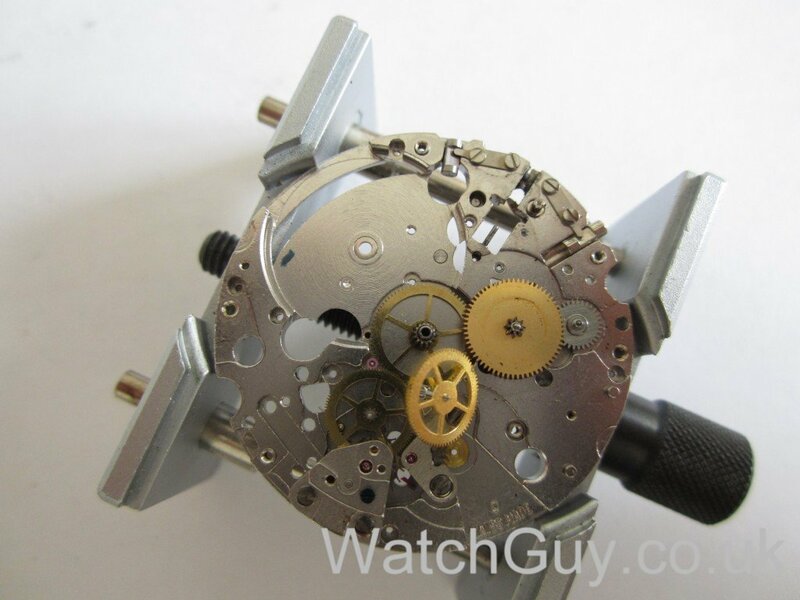 Pingback: How to know details about a watch movement? Thanks for a fantastic blog! Found it a week ago, and have now read all the posts… After three revisions on my TAG the same year, I think I’ll look for a time slot with you when I service it before selling. 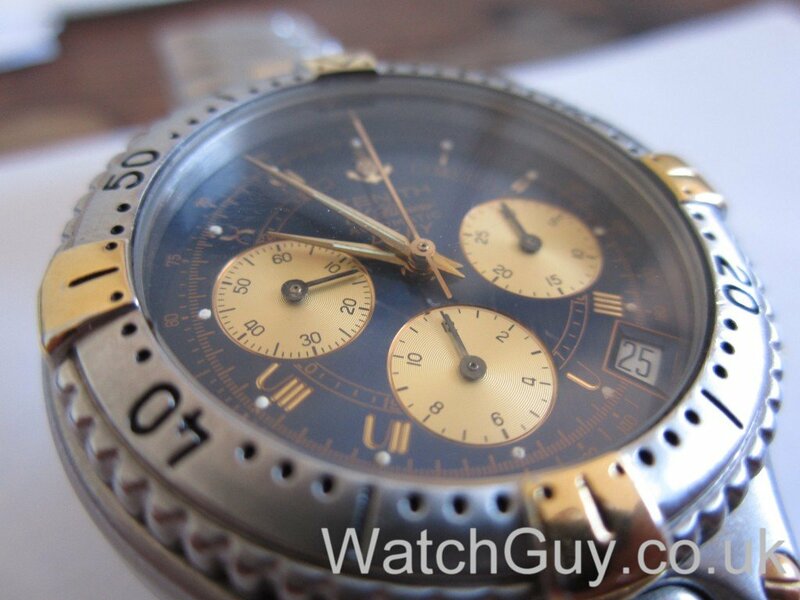 To be honest, I read the blog mostly to see what watches that seem good and reliable. I have the feeling that does not change very much over the years. 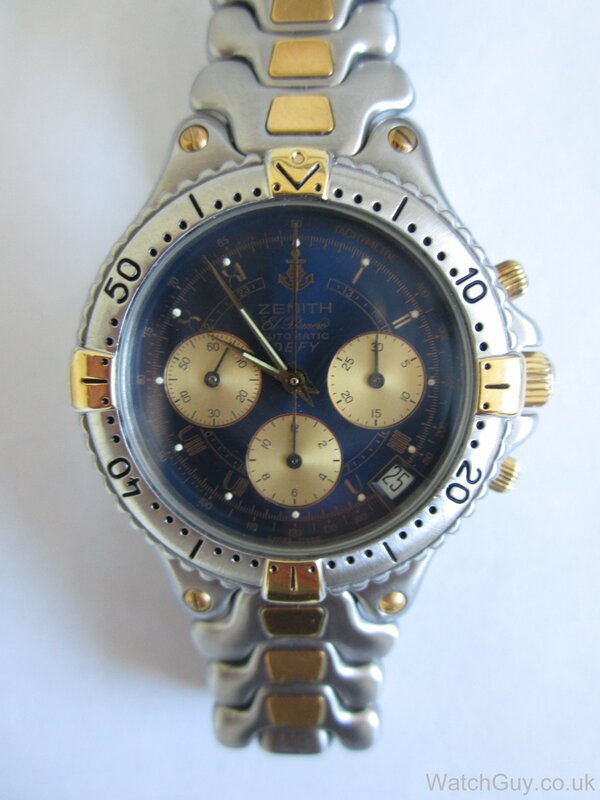 I was thinking of buying a new Zenith El Primero, but am changing my mind more and more after reading your blog and seing watches sold on ebay. 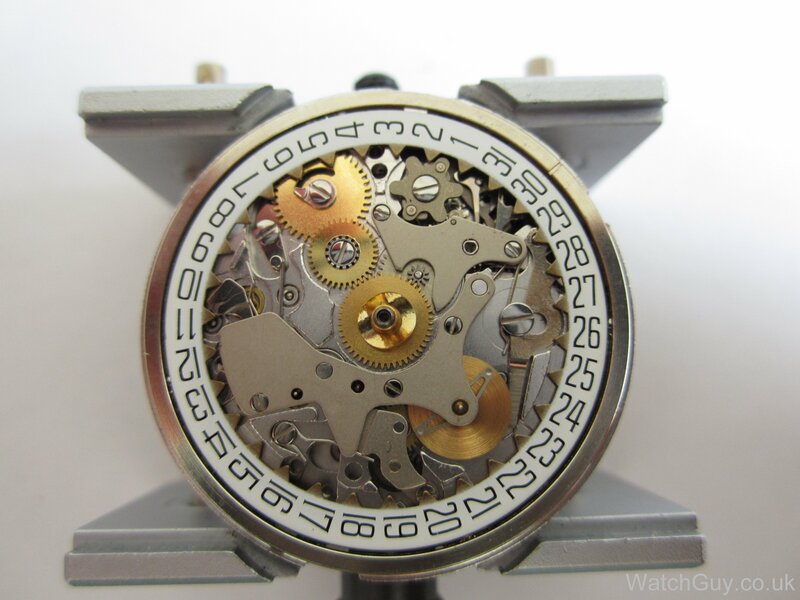 They look fantastic and seem to have very precise movements and all, but if you’re looking for a maximum solid watch to use all the time and many years, I am not sure anymore… Seem there is a lot of problem with them. My obvious option is a Submariner of the least pimp style possible, but that is for sure a less original choice… But they surely seem much more solid and durable. Is it a wrong thinking? 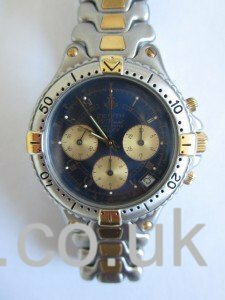 Hi I just emailed you to get a quote – i have an El primero flyback and its stopped after it fell onto a hard floor about 1 metre drop. Hope you can help? I assume the shock to the movement has just shifted everything? Have you experienced this before? fairly easy fix? No exterior damage. Thanks love your blog. The piece above made me think of a surgeon working on the human heart! 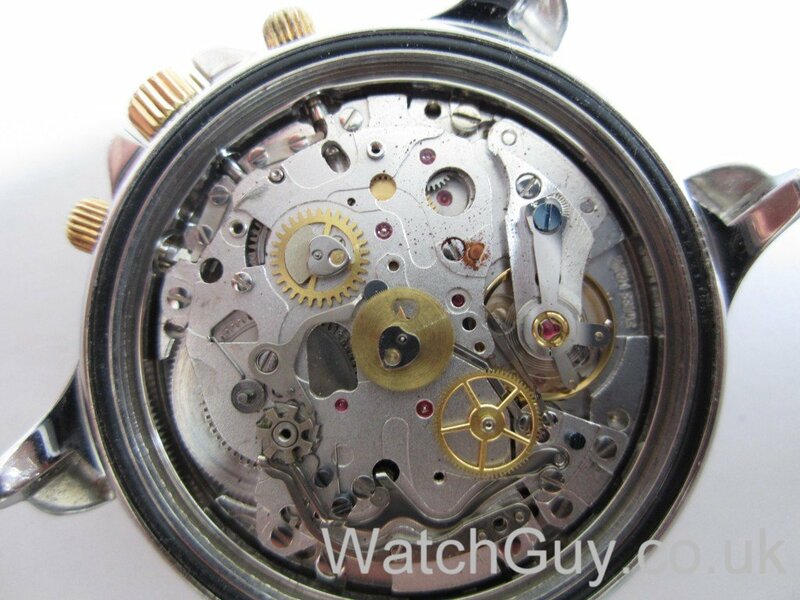 I love the site and as a watchmaker i love to look at others work. Im also looking into setting up a site like this and was wondering what company you used on this? I’ve got my own server at hetzner.de, and installed apache + mysql + wordpress for this blog. You can buy a hosted service at wordpress.com, which is a lot easier. I own a Primero which keeps great time and is in very good condition. However, when the chronograph is left running, it eventually stops, and I don’t know whether this is due to the spring unwinding or to something else. 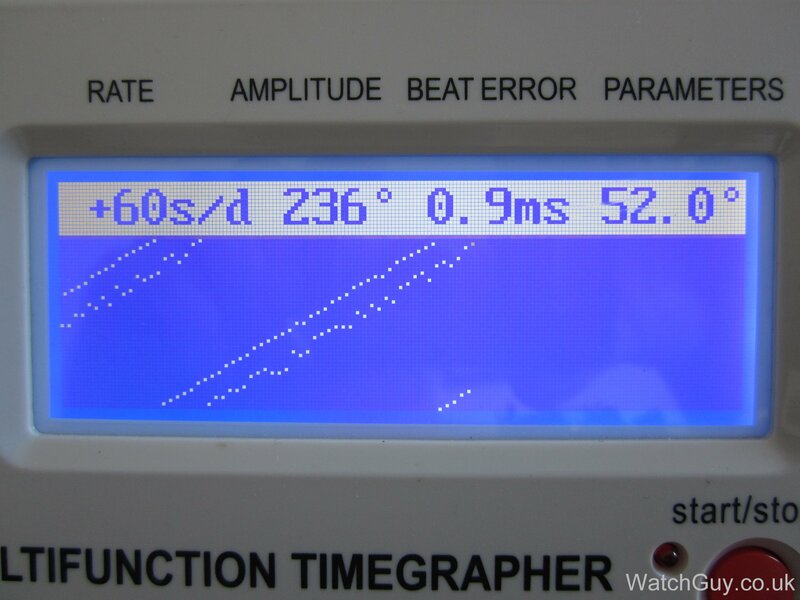 I tried to get a repeat of the phenomenon and noticed the chronograph hand always stops at the same position (two seconds before the 12 hour mark). Any insight into such an issue? Also, I wanted to get your take on wearing such a watch under water. Although it is waterproof, would you recommend it leaving it at bay? Cheers and thanks so much for the great work. Looks to me as if something is wrong with the depthing of the little lever that advances the little minute counter hand, and that makes the movement stop. That can be fixed, but the movement will probably need a service, too. You can’t really dive with a waterproof watch, whatever depth it has indicated on the back. There are exceptions, of course, but I wouldn’t recommend it. Thank you for the swift reply ! Hi there, been following your blog for a while, i envy all the watches you work on! I was looking at this article and wondering how you make sure the right screw goes where, i have grouped bits before but then that causes chaos when cleaning. Are pictures good enough or are the tech diagrams really that good when you have a handful of screws that are fairly similar. 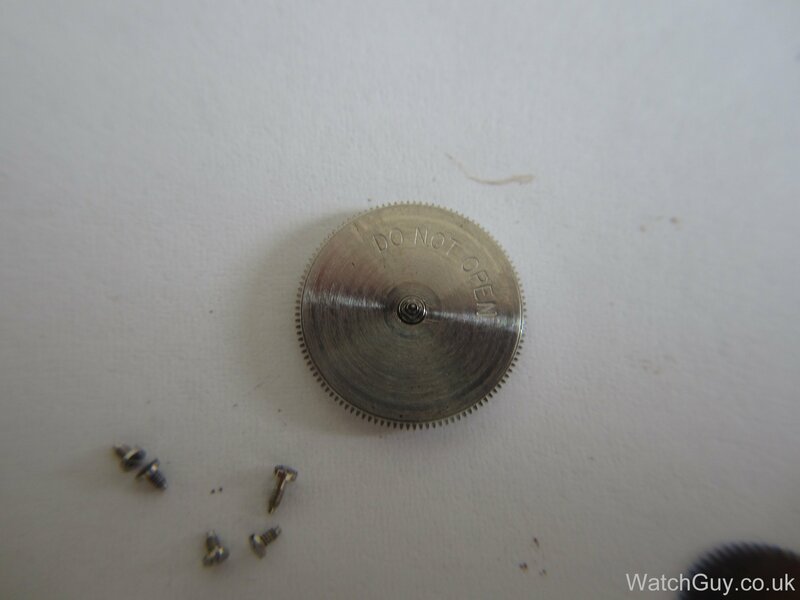 The photos are good enough – I can even count the number of threads on them, which helps to identify the screws. I take a photo of each component with its screws. Hope you are doing well. Can you send me the El Primero 400 data sheet you have. The one I own isn’t half as clear as yours. Where can iI get a service manual and lube chart for this movement? 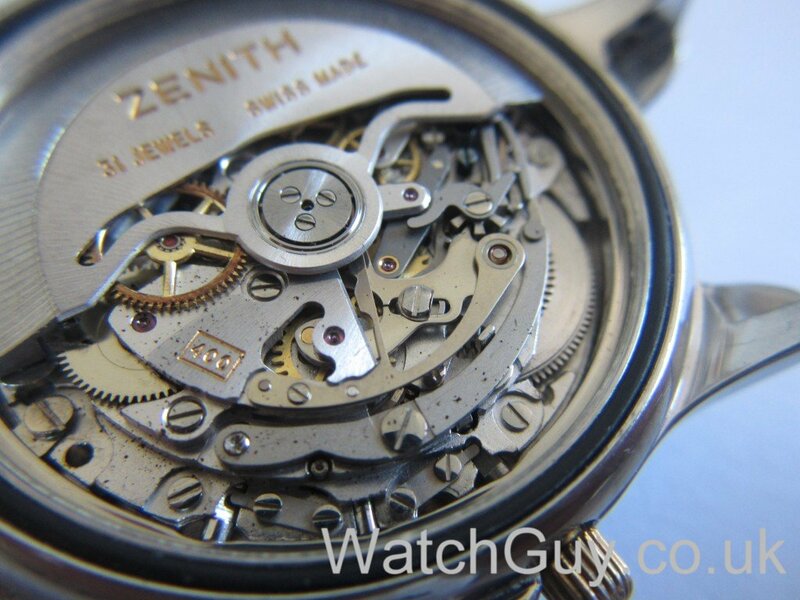 Hi I have a 7 year old Zenith Grand Port Royal also with the EP 400 movement. 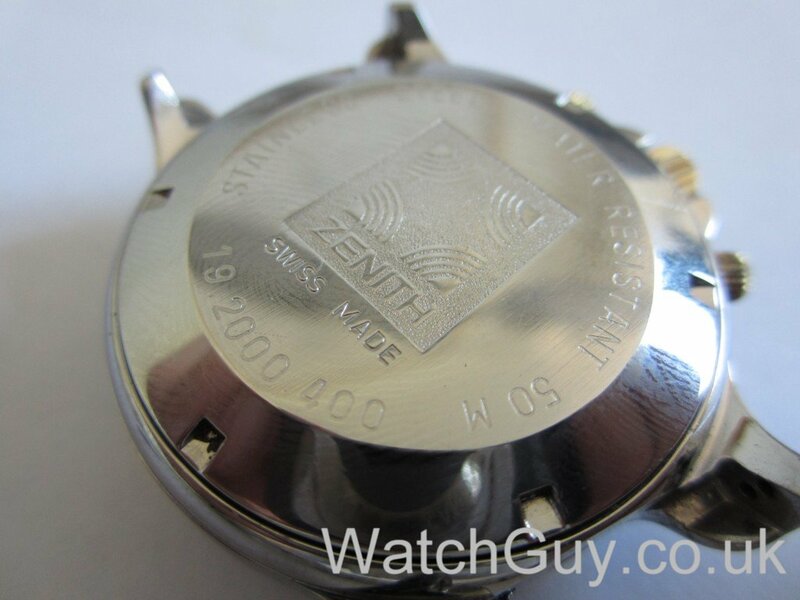 It keeps bang on time and the movement sounds fine (a nice regular 10hz chatter) but I am aware that the manufacturer recommend service every 3-5 years and mine hasn’t yet been opened up. I tool it to an independent jewellers he looked at through the glass back and said its absolutely fine and if its keep accurate time I have nothing to worry about. LVMH are currently quoting £430 for a main service and case valet, which given the complexity of the work I guess is reasonable, although still a large bill to pay. I do. I am entirely with your independent jeweller. If it’s keeping good time and looking clean, there is nothing to be done. Once you notice it starts going too fast or too slow, it’s time for a service. First off, your post offers an excellent opportunity for we ‘civilians’ to follow the repair/service process of this wonderful movement. I have a few questions and, having seen the above, believe you might be able to assist. I have an El P. Rainbow Flyback that won’t return to zero either while running or after being stopped. I can’t afford to send it in for repair, so I opened the case and found the broken part. 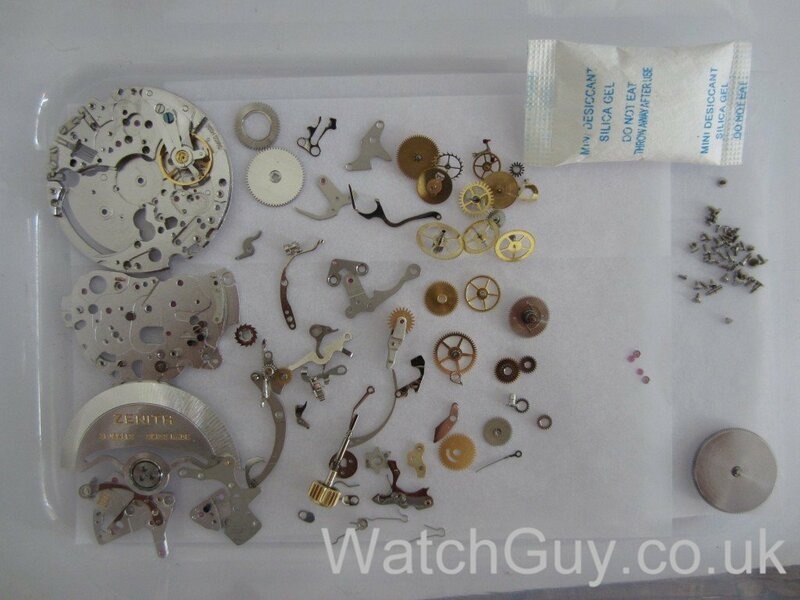 Can replacement components even be purchased by non-watchmakers? I’d like to replace the part myself, then send the watch in for a routine servicing. That way I can at least save $300-$500 on the repair. Basically, if I know what component I need and can replace it myself, is there anything standing in the way of me doing this myself(other than perhaps common-sense)? Any help and advice would be most appreciated. 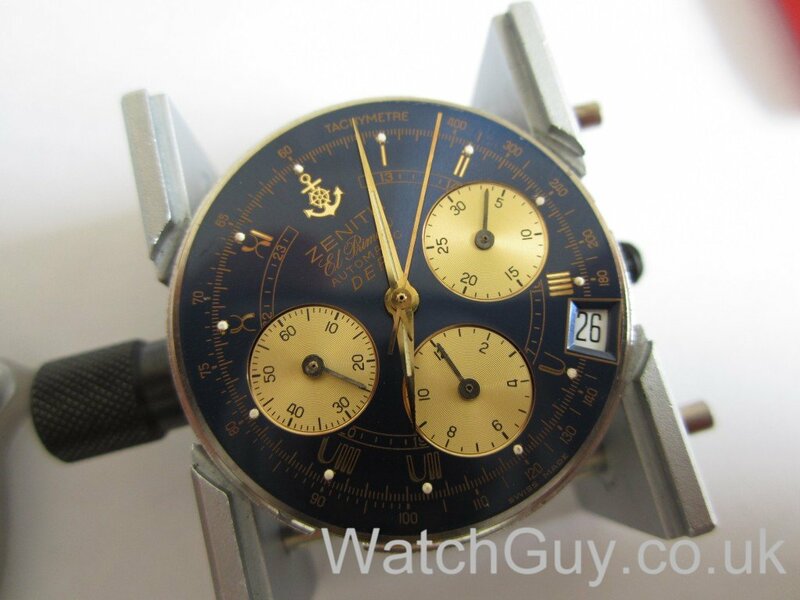 I’d love to get my favorite watch, and imo the best chronograph ever, back into the rotation(if you’ll pardon the pun). These are complex movements, and easily broken. You have to weigh the risk of that happening against the money you might save. determine this? Or do you have to take the movement apart. 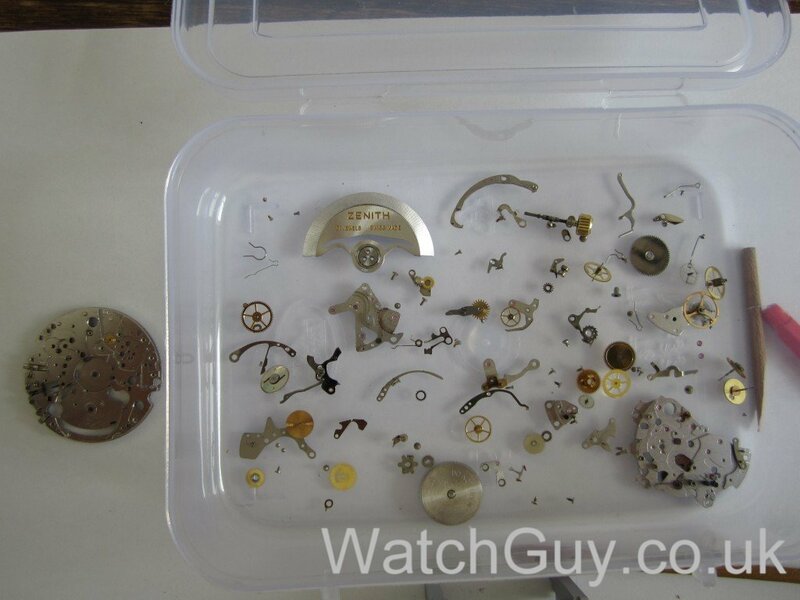 You can inspect the jewels with a strong loupe (I use a 20x for that) and check for any remains of lubricants. I also check the escapement / pallet jewels. 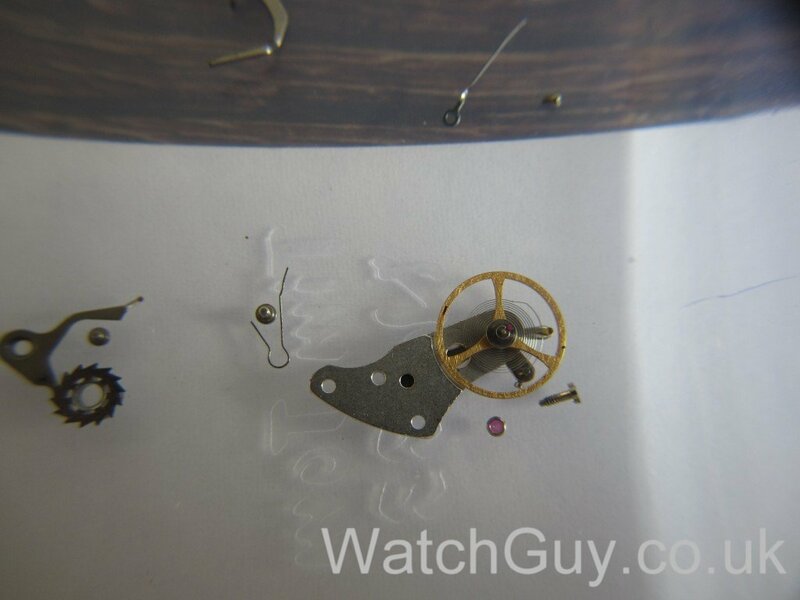 There should be a thin film of oil that becomes visible as the jewels engage and disengage with the escapement wheel. 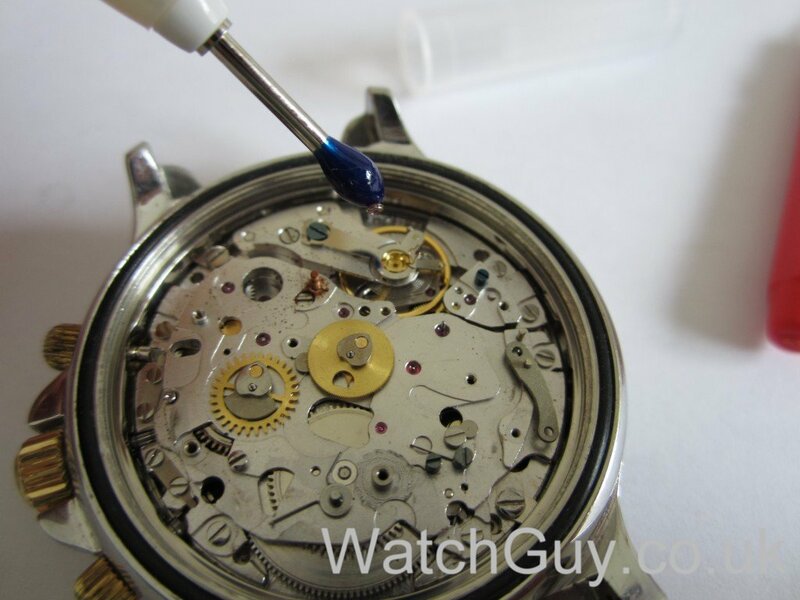 How does dust get inside the watch like this? Does that mean it is also no longer water resistant? I’m guessing that service every 5 years or so could prevent this kind of thing? By the way, great blog and thanks. This is mostly old lubricant, and material worn off. 21 years is a bit of a long service interval, and 5 years might be a bit short, unless you wear your watch in adverse conditions. Keep an eye on how well your watch keeps time. If you notice it going faster or slower, and continuing to do so, it’s time for a service. So there probably wasn’t anything introduced from the outside, and the watch might have been waterproof (I don’t test that before service, only when I’m done with the watch and I’ve sealed it).